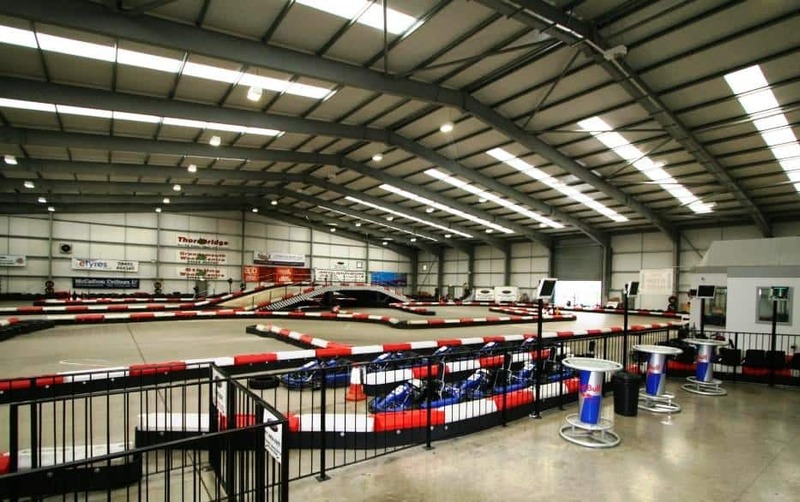 The facilities at Xtreme Karting in Falkirk have been specially designed to ensure your experience off the track is as enjoyable as on it!! We were the FIRST in Scotland to achieve the highly coveted “5 star Activity Centre” award from Visit Scotland! This is an independent grading, with Visit Scotland QA “mystery shoppers” visiting to grade the standard of welcome, hospitality, service, centre facilities and the overall activity standard. 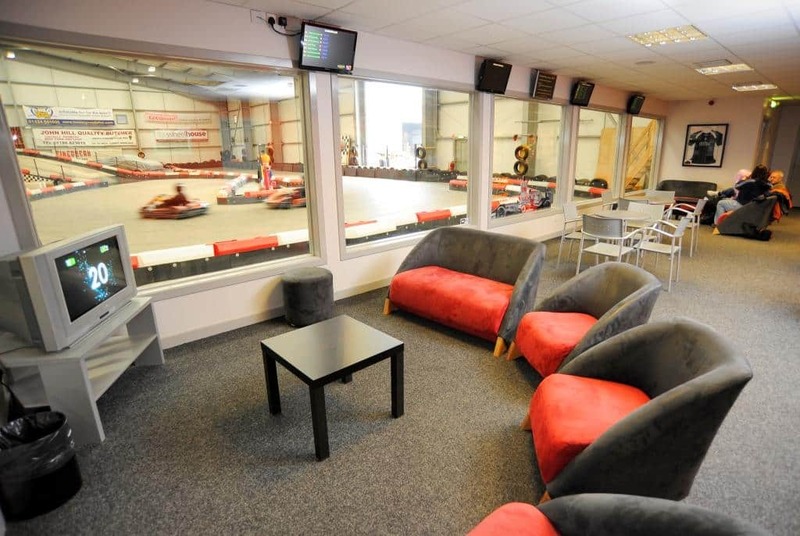 Xtreme Karting in Falkirk features a specially designed lounge area, with large windows providing an uninterrupted view over the race track! Click here for an interactive 360 deg view! 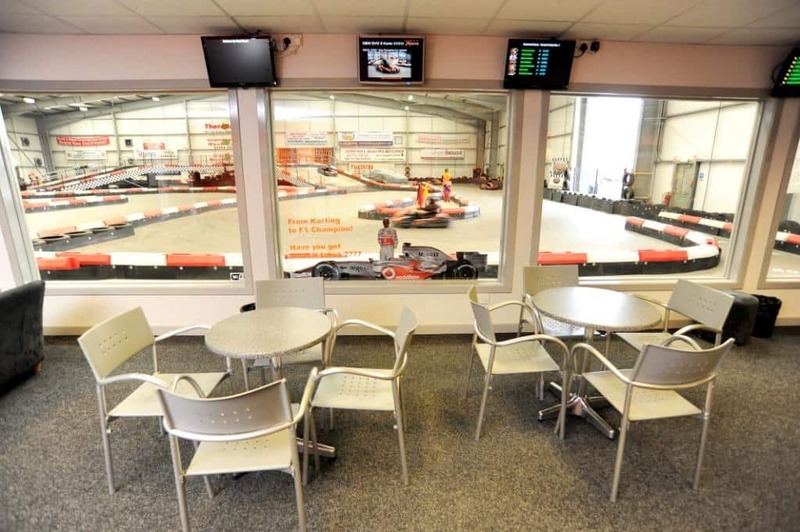 Watch the racing action (or relax whilst your friends or kids take part ! ) in complete comfort. Dont worry about who’s winning as our state of the art race software displays all the vital race information on screens right in front to you! 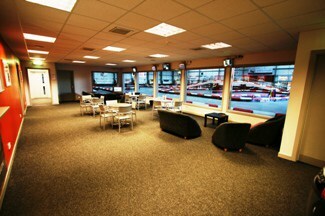 Xtreme Karting in Falkirk is Scotland’s ONLY 5 star karting centre ensuring you of the highest standards at all times! Whether arriving for a group event, practice session or just popping in to have a look you can be sure of a friendly welcome! Our reception staff can help with any questions you may have or help get you booked into our race computer system allowing you to quickly go through to the briefing area and out onto the track once the safety procedures have been covered. If you are feeling thirsty a selection of hot and cold drinks are available, as well as some delicious snacks to ensure the energy levels are maintained! After you have been booked into the event / practice session at reception, you will be taken through to our briefing room to receive a safety briefing, your race director will ensure you fully understand the main safety procedures and the race / event format before you change into a race suit and take to the track! 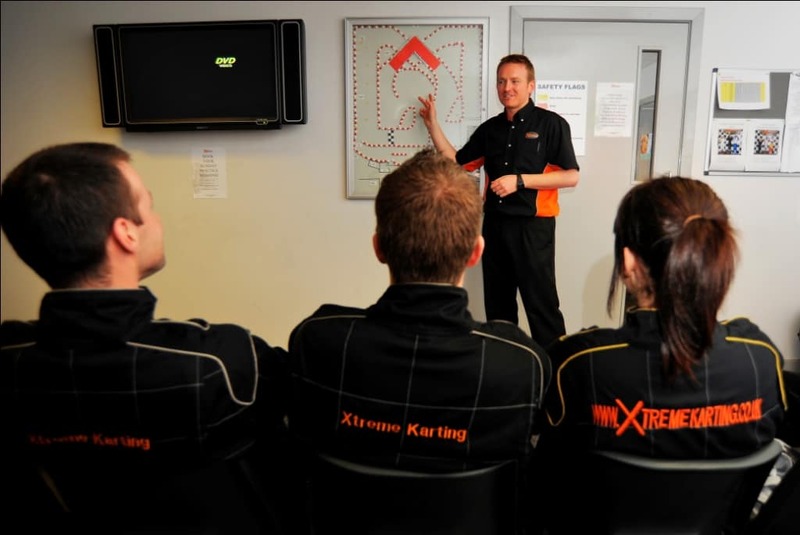 Xtreme Karting features a large trackside viewing area, allowing spectators to get close to the racing action, and experience the noise and thrills of a race event in complete safety. Our state of the art race timing information screens provide instant race analysis, allowing spectators and race participants to monitor the race action and event scores. 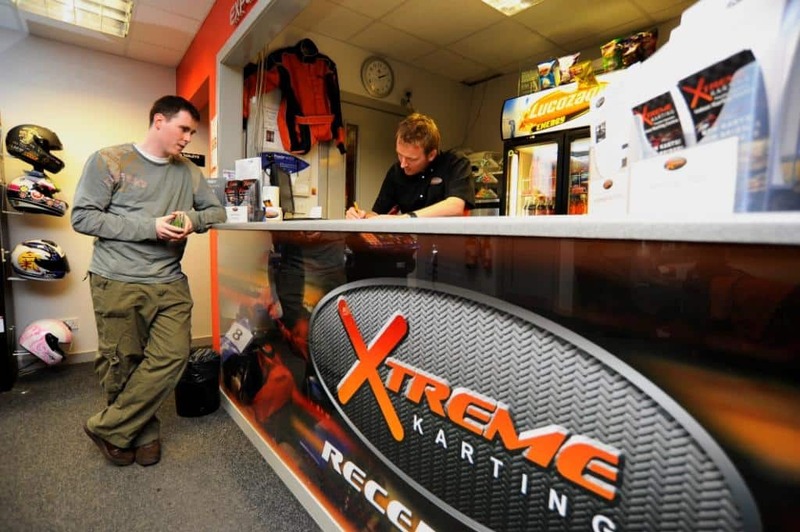 Xtreme karting in Falkirk is fully accessible for disabled visitors, with both the visitors lounge and the trackside viewing area featuring ramped access. For further information and clarification on whether disabled persons can participate please contact the centre manager.